The Michigan County Medical Care Facilities Council assists with improving care, developing effective and economical operations, fostering relationships and promoting communication. Plan ahead and join both our local conferences and meetings, along with our national partner events to receive education, the latest in industry news and information, along with education. Visit our colleague job section to learn more about and apply for industry specific career openings. Career opportunities are available throughout the state of Michigan. This website provides information about two entities that strive to make the highest quality skilled nursing facility care available to citizens of the state of Michigan. The goal of both entities is to keep the resident at the center of all care provided. Applying the best clinical evidence, we will seek to achieve the highest level of person and family-centered care. Safety, quality, outcomes, building trusting relationships, and meeting the needs of the person being cared for in comfortable surroundings is what we are all about. The two entities focused on providing this service are the Michigan County Medical Care Facilities (MCFs) which are skilled nursing facilities, located throughout the state of Michigan; and the Michigan County Medical Care Facilities Council, an organization formed to support, educate and advocate on behalf of those facilities. The majority of this site will be devoted to the facilities themselves, either individually or collectively, and to information that may assist you in becoming informed on the subject of medical/skilled nursing facility care, how it is provided and regulated, and some of the current issues in the field. We support, educate and advocate on behalf of Michigan County Medical Care Facilities. There are 34 Medical Care Facilities in Michigan. Medical Care Facilities serve citizens in all of Michigan’s 83 counties and are the safety net for Michigan’s most vulnerable citizens who need skilled nursing facility care regardless of their ability to pay for care. Michigan County Medical Care Facilities are county-owned and operated nursing homes and, as such, many receive support from local millage and bond funding. Michigan County Medical Care Facilities offer a variety of services depending on the facility. 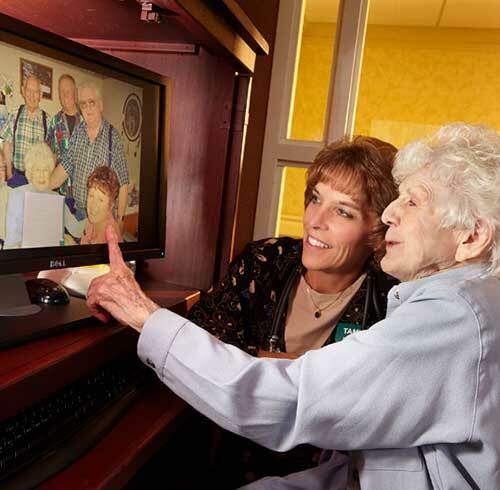 In addition to long-term skilled nursing care, many Michigan County Medical Care Facilities provide a range of programs and services, including adult day and overnight respite care, rehabilitation services, Alzheimer’s and related dementia care, rehabilitative therapy services, and independent and assisted living. The Council represents these publicly owned and financed facilities to policy makers within the state of Michigan, and at the federal level. The Council also provides education, through conferences and other meetings, to permit Michigan County Medical Care Facility administrators and staff to remain current on issues of importance.